The Southern Counties Taxi Collection. We're not just about old buses at Southern Counties and we have a small collection of taxis too. These are all private vehicles which, like the buses, have retired from commercial use. 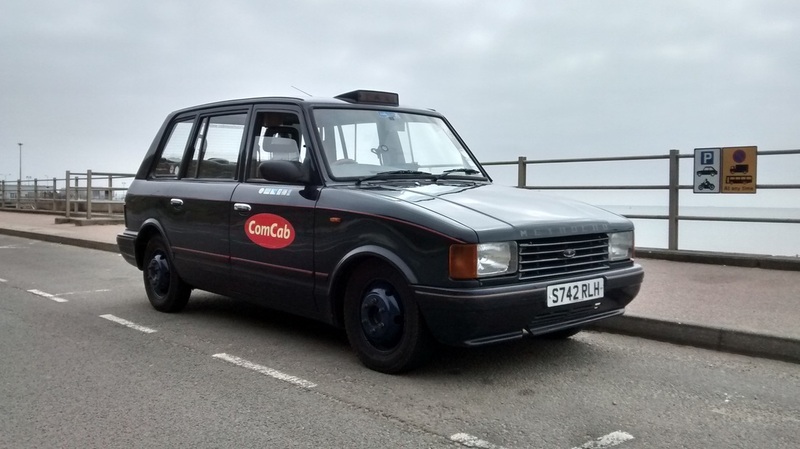 The Metrocab was the FX4 Fairway's rival in battle to build taxis for London. Development started way back in the 1970's but production didn't commence until 1986 when MCW started building them. Powered by a 2.5 litre Ford engine with a fibreglass body, these are fairly solid and indestructible cabs. Production passed to Reliant when MCW folded, and was then passed on to luxury vehicle builder Hooper when Reliant went bankrupt. Later variants on the Metrocab were produced by Kamkorp with the last ones rolling off the production line in 2006. These TTT models were Toyota powered and are highly regarded vehicles. 1989 MCW Metrocab Series 1. 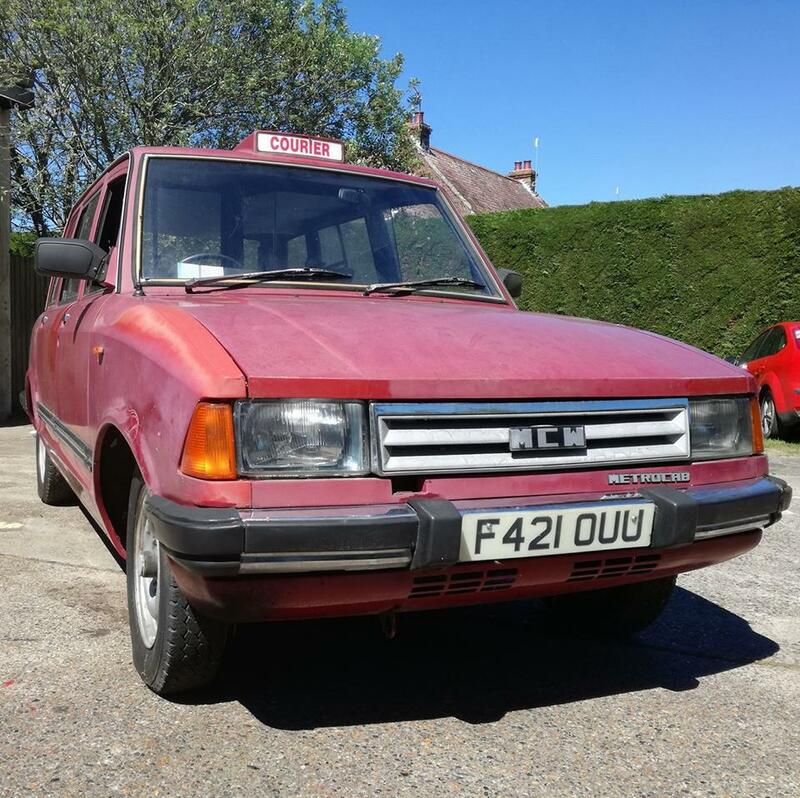 The latest yet oldest taxi in the collection is this rare MCW series 1 Metrocab. Acquired in May 2017 from a seller in Tonbridge, she was recovered back to base where she's currently being stored pending a restoration. Acquired in 2015 from her last owner in Clacton where she had been covered in vinyls for Rock and Roll- hence her nickname of "Rocks"! Currently off the road, she needs a lots of welding work on her subframe but mechanically is in very good condition. Rocks is one of several former ComCab vehicles in the collection. 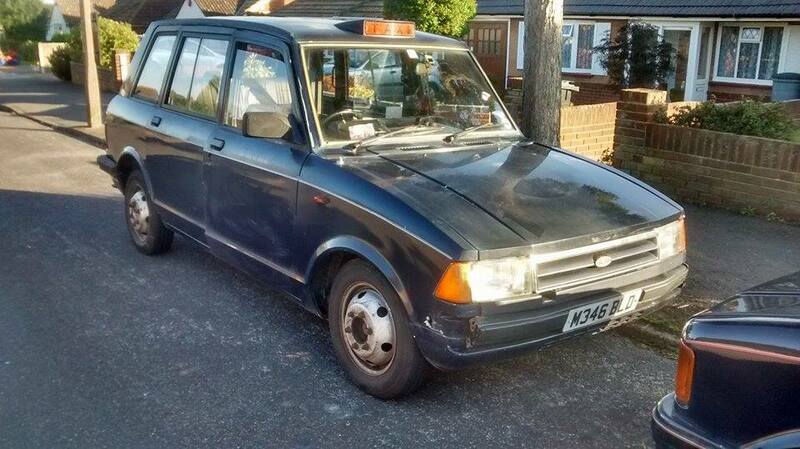 The Metrocab was the Fairway's rival in battle to build taxis for London. Development started way back in the 1970's but production didn't commence until 1987 when MCW started building them. Powered by a 2.5 litre Ford engine with a fibreglass body, these are fairly solid and indestructible cabs. Production passed to Reliant when MCW folded, and was then passed on to luxury vehicle builder Hooper when Reliant went bankrupt. This was acquired from it's last owner/driver via eBay in 2014. Unfortunately the London taxi age restrictionions had prevented him from replating this cab. Another Metrocab and another former big fleet vehicle, this time previously run by Comcab. This particular cab was retired from London in 2013 and sold to a private owner in Maidstone. She was purchased from him via eBay in October 2014. Currently on the road, she made her debut at the Colne Valley Railway Classic Vehicle Rally on 19th April 2015. 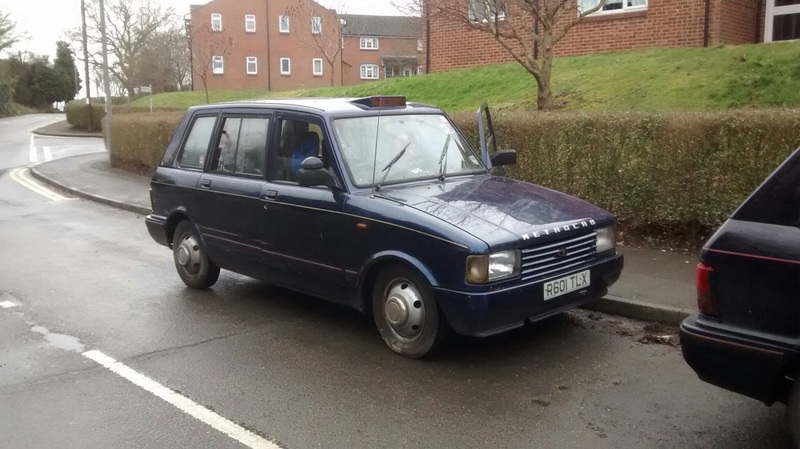 Yet another Metrocab, this time a provincial one with a manual gearbox. This cab is in a very poor way and is currently being used for spares.